PACKERS FOOTBALL FRIDAY: Could Clay Matthews be (part of) the Answer at Inside Linebacker? I think as a Packers fan it’s natural to think about Super Bowl XLV a lot. It really was an incredible championship. With that many players injured Green Bay had no business winning the title. A lot of people will tell you that all that happened was Aaron Rodgers getting hot for 4 games and winning them a Super Bowl. This is only partly true. Yes, Rodgers played well in the Super Bowl and is the author of the single greatest playoff game I’ve ever seen by a QB (@ Atl), but the real reason that the 2010 team won the title was the defense. When the team needed it, the 2010 defense delivered a near shutout against the Bears at home to get into the playoffs. They followed that up by only allowing 17 ppg in the playoffs. They had actually outscored the Steelers offense in the Super Bowl 7-3 until Charles Woodson and Sam Shields were lost to injury (a lot of people forget that if Driver, Woodson, and Shields wouldn’t have been knocked out of that game it would’ve been a blowout). I flipped that game on the other day to see if I could glean what (besides personnel) was so different about the way that team played and the unit that has struggled so mightily over the past 3 seasons. 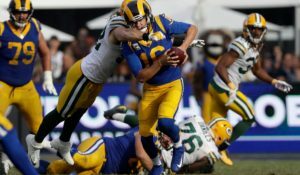 One of the things that I found was very intriguing, especially considering the last remaining real gripe of Packers fans about the personnel on this year’s defensive unit. During that game there were a bunch of snaps (specifically in passing situations) in which Clay Matthews would remove himself from the line of scrimmage and either slow-rush or flat out spy Ben Roethlisberger. The Packers didn’t generate a lot of rush that game (Frank Zombo had the only sack) but Roehlisberger isn’t that great of a QB if he’s not allowed to run around and make plays, and Dom Capers knew that. Matthews and the Packers kept the Steelers bottled up for long enough to win their 13th World Championship. This got me thinking about the 2014 Packers. This team (as far as I can tell) should be the deepest team at the “edge defender” position that I can remember since the switch to the 3-4. Behind Matthews lies not just a rabble of undrafted free agents, but instead there are highly drafted players like Nick Perry and Mike Neal, promising rookie Carl Bradford and future Hall of Famer Julius Peppers. I happen to believe that, especially against teams with mobile quarterbacks, you will see packages in which only one of Brad Jones or AJ Hawk are on the field at a time. The defense would be able to use some combination of those other outside rushers while Hawk and Matthews or Jones and Matthews played next to each other behind the defensive line. This would allow Matthews to blitz from the inside (something he’s awesome at) slow-rush or spy. It would also be another way to get the best 11 players on the field at one time. 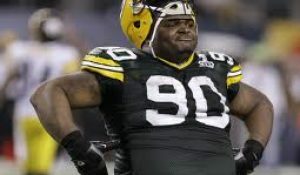 Imagine a 2nd and long or 3rd and long nickel defense with Datone Jones and Mike Daniels as the linemen, Peppers and Perry rushing off the edgers and Brad Jones and Clay Matthews either blitzing, spying, or dropping in to coverage. 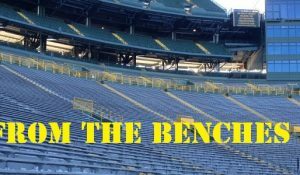 You’ve already gotta be pretty excited about the healthy secondary with Tramon Williams and Sam Shields outside, Casey Hayward in the slot and Burnett and Clinton-Dix at safety but the front seven might have the versatility to make the “hole” at inside linebacker not a very big deal. 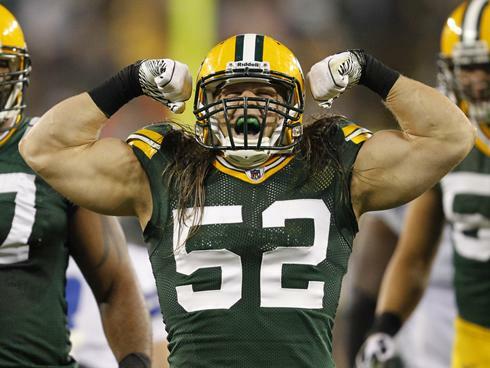 If there’s any way to make a weakness a strength in this defense, I think it’s a good bet to use Clay Matthews. Note: I’m not advocating for a full time position switch from OLB to ILB for Matthews. I don’t believe that to be in the best interests of the team. This entry was posted in Packers 2014 - 2015 Season and tagged Inside Linebacker, Julius Peppers, Off Season. Bookmark the permalink. 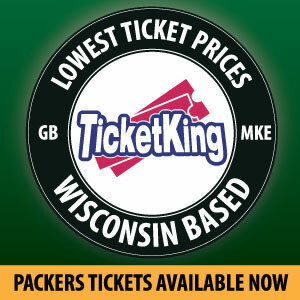 Ole Vic at Packers.com would argue with you but I won’t. I think it’s a great idea to move Matthews around not just for the reasons you state but also it would give his body a break from rushing against Tackles who are 100#’s larger. Matthews has proven that he’s great in coverage and maybe he won’t get hurt so often if he isn’t rushing every play. I want to be clear, I’m not advocating for a position switch for Matthews. He (as he did in XLV) should still play the majority of his snaps from the OLB position. I’m simply talking about a few packages in which he could be slid inside to maximize the talent on the field for the defense and decrease the snap totals for AJ Hawk and Brad Jones. With that being said, the fact that Vic disagrees with me makes me think this is a pretty good idea. Matthews to the inside makes a ton of sense, and I’d argue that this should be a permanent switch. 1) As you pointed out, we have good quality and depth at the OLB position. 2) We have little talent, or depth, at ILB. 3) For as good as Matthews is, he only had something like 25 tackles last year….don’t you want your better defenders more involved in the defense? 4) As an ILB, he can drop in coverage, blitz, help stop the run, and spy on/contain opposing QBs, such as Kaepernick. 5) As an OLB, most of his effort is wasted against a mammoth LT and the double-team. As an ILB, blitzing, he’d almost certainly have only one guy to beat….and opposing defenses would have to account for him anyway, thereby creating more opportunities for his teammates. Clay Matthews is not the 23 year terror he once was. Once he was younger than the tackles he rushed around, now he’s not. The tackles keep getting bigger and better. The double-teams keep coming. Why waste his exceptional ability this way when we could put him in the heart of our defense? Any package in which Brad Jones is not a part of already makes the defense better. However, I do agree on the rest about a few packages sliding Matthews inside. Some tackles have no trouble containing him on the outside, besides any time you get that predictable you become stale right? AJ, thanks for reading and thanks for the feedback! I will say this though: if it’s 3rd and long and you give me a choice between AJ Hawk and Brad Jones I’m going to take Brad Jones every day of the week. He’s just better in coverage and I don’t think either player is anything to write home about as a blitzer.